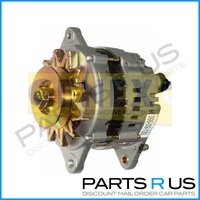 Here at Cars R Us, we can provide you with a top quality, affordable Nissan alternator for your car. The alternator is a car part which is all too often forgotten about by so many of us, and lots of people are actually completely unaware of what the alternator is and what it does. But whilst the alternator itself may be something of a mystery to many car owners, there’s certainly never any mystery when alternator fails. Many motorists have had the experience: they’re just starting their car up in the morning on their way to work or to some other commitment, when they discover that the battery is flat. Often, they falsely assume that the problem is with the battery itself, when in fact it is the alternator which has failed – and the battery is completely fine. If you find yourself in this position, there’s no need to panic. At Cars R Us, we know how stressful this situation can be: without a functioning battery, your vehicle has suddenly become stuck in its current position, and without it, you can’t go about your important daily tasks. That’s why we’ve resolved to create the swiftest, easiest and most affordable solution to all your car part needs. Simply load up the Cars R Us website and you’ll be able to order a new Nissan Patrol alternator or Nissan Navara alternator with minimal hassle. Then, we’ll dispatch your selected product from our premises here on Queensland’s Sunshine Coast, and ensure that it is promptly delivered straight to your front door – regardless of where you live in Australia. Furthermore, we never charge extra for the delivery, guaranteeing you the most affordable solution possible. What Does a Nissan Alternator Do? 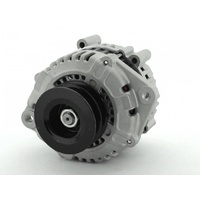 An alternator essentially serves to convert the mechanical energy produced by your car’s engine into electrical energy. This electrical energy is then stored in the car’s battery so that it can be used to power your car’s electrical systems as and when they’re in use. 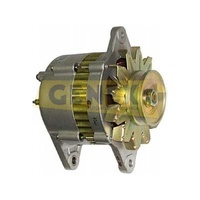 Because the electricity produced by the alternator is stored in the battery, it often takes a little while before problems with the alternator become apparent. But once the battery runs out, it’s often too late to avoid major inconvenience unless you happen to have a spare alternator and a toolbox to hand! In order to avoid this situation, it’s always a good idea to order your spare Nissan alternator and other important spare parts before any problems start to present themselves. Then, stay vigilant for signs: in this case, pulsing headlights, a small squealing sound or the illumination of a battery warning light. With the correct spare parts in your inventory and the knowledge of how to spot and diagnose the problem in its earliest stages, you can be confident that you’ll be safe from and major disruption caused by an old or fault alternator. So place your order online at Cars R Us today, or get in touch with a member of our knowledgeable team to find out more information about our products, services and prices.